Creative writing is my particularly favorite place to hang my hat, and shaping story and narrative for magazines, journals, newspapers, and blogs is my preferred mode of communicating. If you're interested in collaborating on a project, feel free to drop me a line with your vision, and I'd love to connect with you. As Content Editor for Tapestry Magazine, recently rebranded as Womankinde, I curated content, wrote articles, and edited pieces written by other writers for our print and online issues. I also partnered with the Founder and Assistant Content Editor in connecting with all writers in order to help direct the publication's drafting, editing, and creative process. My other duties included crafting written material for the Tapestry social media accounts, contributing to the Tapestry blog, assisting in the creation of a mission statement for the magazine, as well as a description page for each individual issue, and writing copy for the website. Watch for the release of Issue No. 3, HERITAGE, available for purchase this Winter. I'm honored to have one of my poems, "The Forgotten Package," published in the online poetry section over at The Curator. The Curator seeks to celebrate cultural artifacts and inspire its readers to engage deeply with—and ultimately create—culture which enriches life and broadens experience. Based out of London, Water Journal is a bi-annual publication and quiet exploration of all things water. Dedicated to the experience and cultural significance of water, it exists to tell honest stories, whether it's of a personal matter or on a global scale. Born purely out of love for water and print, Water Journal is intended to be held in one’s hands, experienced in person, and kept like a book. I'm excited to partner with them as they release Volume 2 ° this Winter. The Sun Current publishes news for the Edina, Eden Prairie, Bloomington, and Richfield communities. Through my collaboration with the Edina Chamber of Commerce, I've worked with The Sun Current to promote Edina events as well as leaders within the community. The piece below represents a more journalistic side to my writing. It was a pleasure to write a couple pieces for the inventive and beautiful Triad Magazine. Every few months, the editor creatively selects a new "triad," e.g. Morning + Daytime + Evening and encourages writers, photographers, and videographers to submit content centering around that particular triad. By collaborating with a variety of artists, Triad Magazine promotes beauty, art, and hope via its words, images, and short films, and I was honored and delighted to be featured on the Triad blog. 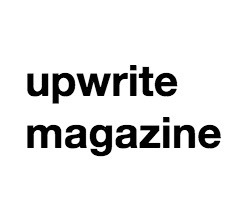 Upwrite Magazine's mission is simple: share stories that empower both the writer and the audience. With great attention to 'craft care,' and a passion for writers who boldly engage with the creative process through authentic prose, the editors have fashioned a really unique and uplifting publication. I really enjoyed contributing a feature piece on the subjects of connection and control, and I found diving deeper into the world of pop psychology and personalities incredibly thought-provoking.